What Are the Potential Benefits of Online Learning? Becoming a doctor isn't an easy thing to do. According to data from the Association of American Medical Colleges shows, only 20,343 students who applied in 2014 were actually invited to pursue their program of choice. On top of those challenges, there's an additional layer of qualification that comes with becoming a doctor. This layer doesn't have so much to do with specific courses or subjects. Simply getting accepted into a particular program isn't necessarily enough; students have to prove their worth and move through the various stages of education without too many hiccups. Being an effective medical practitioner requires medical students to develop a certain mindset and way of thinking emphasizing case history, analysis of all factors (not just the obvious ones), patient empathy and more. Ultimately though, a major part of a full medical education is learning to think like a doctor. 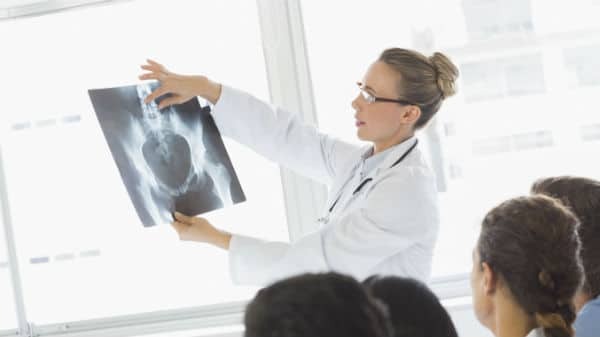 Here are seven ways doctors think differently, and how students pursuing a medical program can flip the switch and start to see things from a professional medical perspective. According to Alexandra Duncan, Managing Director of Praxis Clinical, a school that provides clinical skills training courses to universities, hospitals and community and government programs, finding success as a doctor means learning to trust oneself. Since medical students haven't yet had the chance to learn through trial and error, they haven't yet built that trust, and are forced to go through the motions instead of following their instincts. "When a medical student is in a patient encounter you can literally see them going down a checklist in their head," Duncan noted in an email interview. "They get so caught up in the knowledge that they forget the patient." Building that level of trust in oneself, and, by extension, fostering it in the patients you work with, comes with building a track record of hands-on experience not just treating conditions, but talking to patients and learning about them. This is something that can start to happen later in a medical program with externships and other opportunities to explore the professional side. Another skill medical students can hone only over time is having the foresight to consider external forces that might be contributing to a patient's illness or condition. Unfortunately, as Duncan notes, context is one factor that students only learn to consider over time. "If you graduated medical school you already have the knowledge you need to get started, and you're going to learn more constantly as you go," Duncan said. "What you don't have yet is context, and that's something you can only get from your patients." One way for medical students to gain that context is to pay attention, Duncan said. Eventually all of the knowledge medical students have gained will coalesce with hands-on experience. Although context and trust are important, one of the biggest differences between medical students and doctors is that doctors typically already know that there isn't always "one right answer." 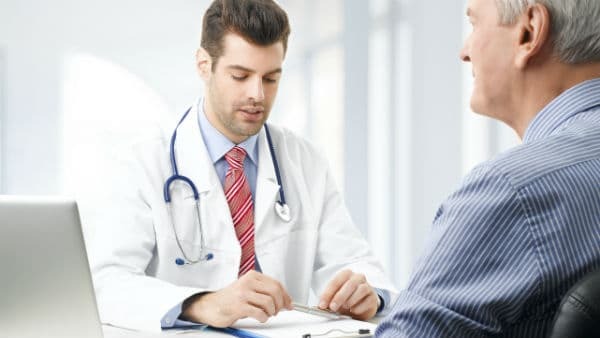 Doctors, on the other hand, realize patients and treatments are not one-size-fits-all, and develop a track record of previous patients to reference. Since they often have insight into what medical students cannot, they are much more capable of creating plans that treat the individual patient instead of coming out of the gate with the most common textbook answer. "The medical education system is very rigid," noted Duncan. More effective doctors, however, are the ones who're able to be flexible thinkers. After several years in the medical profession, many doctors learn to keep an open mind as they examine their patients and consider their unique needs. "Medical school is all about learning; patients are case studies and abstract concepts and plastic mannequins," said Duncan. Being exposed to real patients for years puts doctors in the position to see beyond the textbook and begin thinking outside of the box when it comes to what will truly help their patients heal. According to Doug Keiller, Chief of Strategy for the ARIST Medical Education System, today's doctors need to learn the ins and outs of not just the medical system, but the administration behind it. Since medical students might spend years focusing on terminology and taking part in clinical experiences that focus on medical skills, they are often left to learn the business side of the equation only after they become licensed to work in their field. 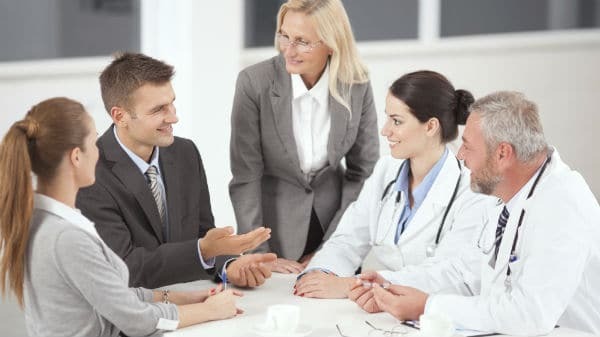 "As our healthcare system changes, doctors are also expected to understand the basics of management, as well as how to work with the other health professions with whom they will collaborate closely: the era of the small practice physician is over," noted Keiller in an email interview. So, while experienced doctors will have become well-rounded medical professionals after some years in the profession, medical students generally have to wait to learn those healthcare skills. Another reason medical students and doctors tend to think differently: doctors have years of professional and academic experience to draw on, whereas medical students are still learning the ropes. This difference in thinking is especially noticeable when you compare how doctors use their curiosity to learn as much as they can and explore different concepts in the medical field. Often times, having a larger reservoir of specialized knowledge allows someone to recognize what things they don't know and, as a result, ask the right questions. Since med students haven't yet done much experimentation on their own, this is just another area where experience trumps all. Along with regular coursework, getting opportunities to build up that knowledge base is an essential part of medical education. What does it take to become a doctor? Beyond intelligence, the next most important quality is good work ethic. Simply put, it takes an unmatched dedication to the medical profession to get accepted to medical school, accelerate through each level of the program and graduate as a practicing doctor entrusted with the lives of other human beings. "Medical students need to be extremely self-motivated to succeed during the first two years of medical school that are focused on the basic biological sciences, and then into the intense clinical rotations and, after graduating, to do well during a required minimum one-year medical residency," explained Keiller. That kind of motivation is usually only something that can be acquired over time, either by building upon one's successes or learning to build motivation from within. According to Keiller, being knowledgeable is no longer enough to be successful in this field. Doctors must also, "demonstrate critical thinking and communication skills, and, finally, leadership activities to practice management skills." 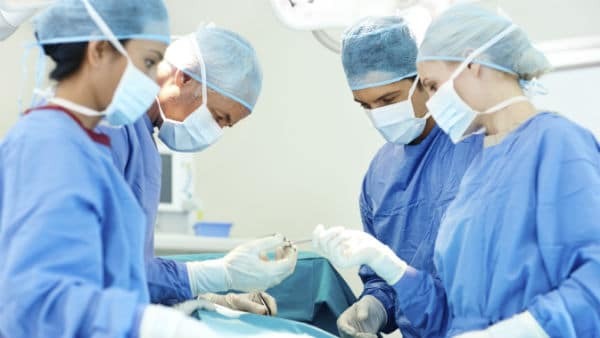 Not only does a career in the medical profession take a high level of skill and intelligence, it also takes a level of dedication that is hard for most people to fathom until they make the decision to pursue a medical program. And unlike other occupations, the learning never stops when you're a doctor. Technology is changing the way we view both the human body and the diseases that plague it, and new medical inventions continue to shake up the medical field on an annual basis. Becoming a doctor means not only learning all there is to know right now, but pledging to be a lifelong learner that rolls with the ride. Part of the transition to becoming a doctor involves not just putting on a white lab coat, but learning to think in a flexible, curious way. This takes time and effort, but can potentially be the most rewarding part of a medical education. Med students, clear your calendar. To find out more about the ins and outs of what you can pick up in a medical program, check out the program listings below.